L'Incanto di Roma is located in the centre of Rome, only a few steps away from Via Veneto, Piazza Barberini, Villa Borghese, the Spanish Steps, the Trevi Fountain and other important tourist sights of the capital. All parts of the city can be reached easily and comfortably by subway or by bus. 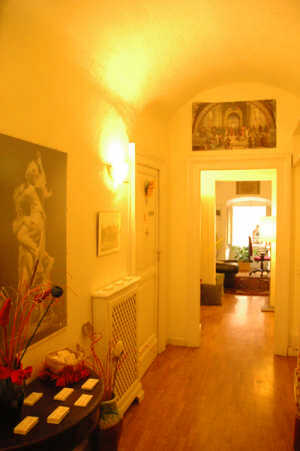 The apartment is situated in a 19th century. building, with elevator, in a safe and well-to-do part of town, full of shops, restaurants, pubs, cinemas and characteristic nightclubs. The clean, elegantly furnished rooms overlook the ancient ruins of the Horti di Sallustio, all that remain of one of the most impressive constructions of Imperial Rome, the vast monumental gardens that separated the Pincio from the Quirinale. L'Incanto di Roma B&B, a completely renovated apartment, has charming, spacious rooms with vaulted ceilings and parquet floors. 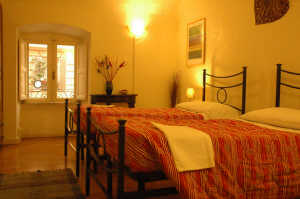 All rooms, whether double triple, four and five bed room, have wrought iron beds with orthopaedic mattresses, closets, desks, night tables, colour TV. 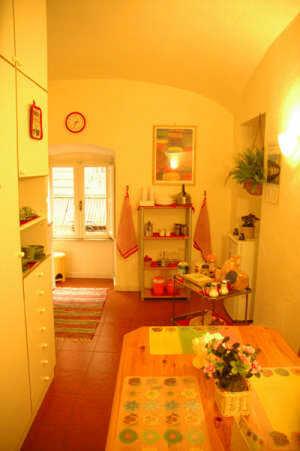 The apartment has a large, well equipped kitchen and two bathrooms. The B&B's study is equipped with a computer hooked up to the internet free. For those who like to read, a well-stocked library will soon be available. 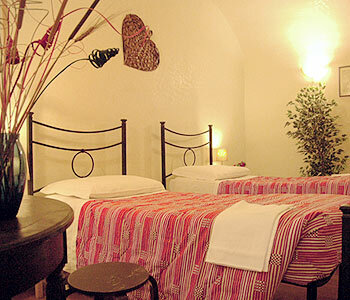 Upon arrival, you will be greeted by Laura and Michela (young sister) in a warm, welcoming atmosphere. They will be happy to help you with information and suggestions to make your stay in Rome as comfortable and pleasurable as possible. Quality is the key. 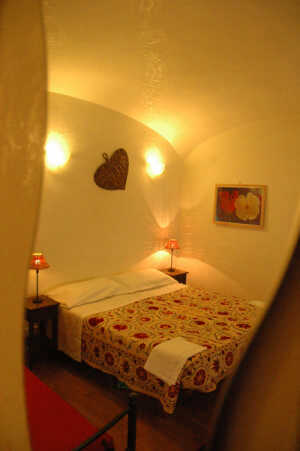 It is possible twin room and double room. Laura and Michela contact by email the clients. 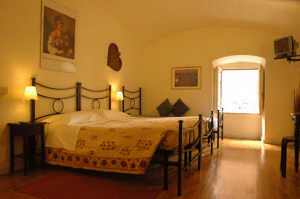 THE B&B HAVE 4 ROOMS AND TWO SHARED BATHROOM!